Playing cards can be a pastime that offers pleasure and social enjoyment. A game of cards is a way of entertaining yourself in a group and it is one of the most popular indoor activities adults play. (eHow, 2011). 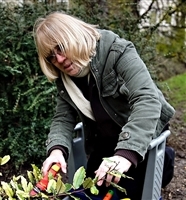 Cards are portable and accessible to people of all ages. (Scolastic, 2014). Playing cards can help both adults and children improve their fine and gross motor skills. (Scolastic, 2014). Handheld and free standing card holders allow playing cards to be held securely but discreetly, if you have reduced manual dexterity and are unable to hold an entire hand of cards. (DLF, 2010). Shuffling and dealing may help quicken your reflexes. (Scolastic, 2014). 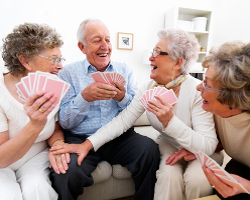 Card games can encourage hand-eye coordination and help stimulate and exercise your mind. (Touch Neurology, 2011). Card games can give you a chance to interact with others in an initimate setting while engaging in a little friendly competition. (eHow, 2011). Card games require little more than a deck of cards and a flat surface, which means they can easily be played almost anywhere. (eHow, 2011). Some card games entail a great deal of strategy, as well as an understanding of statistics and probability. (eHow, 2011).